Let your CHARM IT! 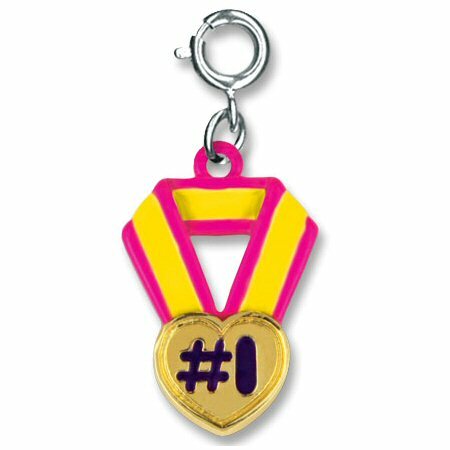 girl know she's number one in your book with this fun and festive Heart Medal charm. Featuring a "neck ribbon" of yellow and bright pink enamel, this wonderful award charm "shows the love" with the black enamel #1 in the middle of the gold heart. And this CHARM IT! Heart Medal Charm attaches quickly and easily to any charm bracelet with a simple snap of a clasp.